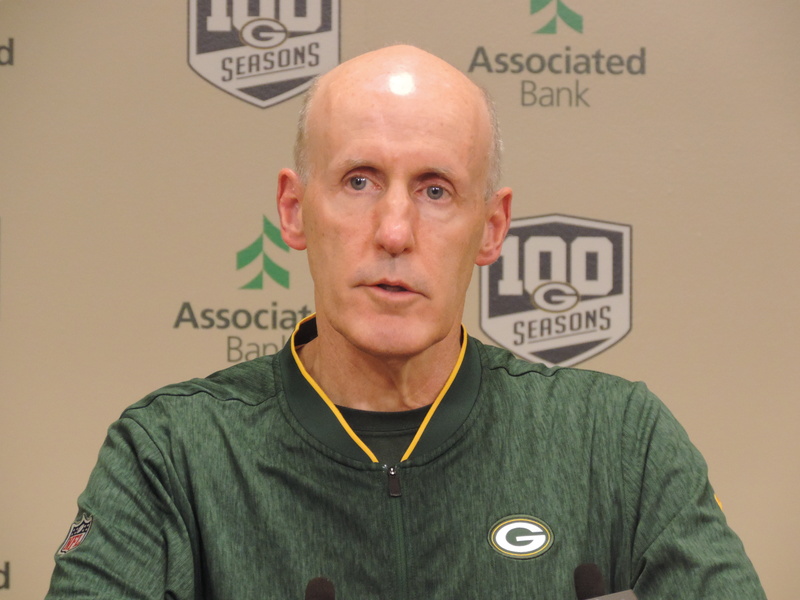 Joe Philbin was emotional during his press conference Monday, discussing his role as Interim Head Coach of the Green Bay Packers, He choked up when discussing the dismissal of his long-time friend, Mike McCarthy. A short time earlier, team President and CEO Mark Murphy said he would keep an eye on Philbin over the final four weeks of the season and considered the 57-year-old to be a candidate for the team’s head coaching vacancy. 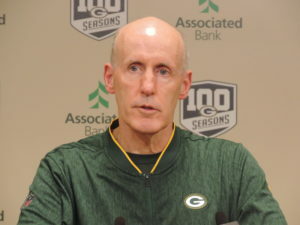 When asked about the possibility of this being an audition for the permanent head coach, Philbin dismissed the notion. Philbin said he would assume the play calling role, but he hasn’t decided who would take over the day-to-day duties that he had held as the offensive coordinator. As for the plan moving forward? “We’re not going to make sweeping, structural changes,” said Philbin. “It’s not like we’re going to fly some magical players or magic coaches in here in the next four weeks. We’ve got a good group of men, we’ve got a good staff, we have to get these guys to play better and we have to make some plays. We have to help each other out and play more complementary football. We just haven’t had a lot of momentum to sustain itself over a period of time. It’s a little bit of the chicken and the egg. In three-plus seasons as head coach in Miami, Philbin went 24-28.